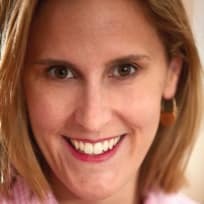 Kelsey Banfield, The Naptime Chef, believes parents don't have to give up being foodies just because they have kids. Kelsey's website features recipes and ideas on how to fit delicious food into everyday life, without compromising quality or taste. Kelsey is also the author of the cookbook, The Naptime Chef Fitting Great Food Into Family Life. Her second book, The Family Calendar Cookbook, will be published in Spring 2015. 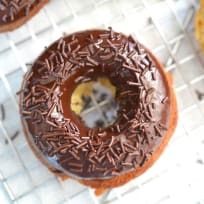 Lemon donuts with chocolate glaze are a terrific way to start the day! You’ll love the tart-sweet flavor. 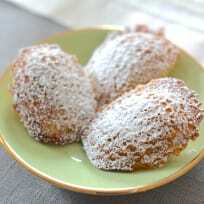 Meyer lemon madeleines are sweet, delicate cookies that go perfectly with afternoon tea. Take a moment for yourself! 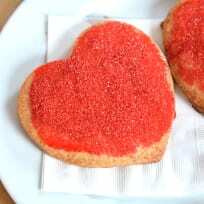 Homemade Panera Bread Valentine cookies are the sweetest thing for your sweetheart. No need to buy when you can bake! Dark chocolate almond cookies are perfect for greeting chilly littles after school, all winter long. A twist on the traditional everyone will love. Pumpkin pie ice cream shooters are a hoot! Adorable little ghostly faces will make your kiddos giggle with glee. Oatmeal toffee cookies with a punch of cinnamon. Toss them in your lunchbox, nibble on them with tea - whatever you do, make them immediately. These salted Nutella crunch bars are super easy, no bake treats. They're only THREE ingredients, and so, so good! Speculoos cookies are those delectable biscuits you find on a certain airline's snack offerings. 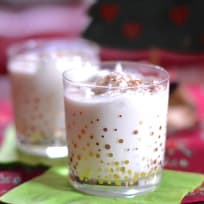 You can make them at home and enjoy them whenever you want!